Deeds are documents, usually drafted by the seller's attorney, that pass legal title in a parcel of real estate from one party to another. The deed reflects the owner's interest in the property and usually specifies a seller, a buyer, the manner in which title is being taken, the consideration or purchase price, a property description, and a citation to the recording information of an earlier deed. There are three types of real estate deeds in Massachusetts: release deeds, quitclaim deeds, and warranty deeds. Each of these deeds gives a buyer different degrees of protection and guarantees against defects. The covenants made by the seller in connection with each of these contain the differences among them. The experienced real estate attorneys at Pulgini & Norton can advise Boston residents in connection with release deeds and any other issues that may arise out of a property transaction. In Massachusetts, the general practice is to state the nature of the covenants associated with a deed on its face by using words such as "with quitclaim covenants" or "with warranty covenants" and the like. Any covenants that are contained in a real estate deed only warrant against the rights of third parties to the granted premises and encumbrances that are outstanding on the date the deed is delivered. They do not make promises to a grantee about any rights or encumbrances that may arise after the deed is granted. Moreover, any express covenants in a deed cannot be expanded or contracted by evidence outside the deed, such as testimony that there were oral agreements otherwise. Warranty deeds offer the most protection to a buyer, but most property in Massachusetts is transferred by quitclaim deeds, which have limited assurances. Release deeds, also sometimes called "fiduciary deeds," offer the least amount of protection to a buyer planning to buy property, although they are an effective way to simply convey title. Unlike the warranty and quitclaim deeds, release deeds do not guarantee anything. They transfer the title or other right that the grantor holds in a particular parcel of property, but the grantor does not simultaneously assure a buyer that title is valid in connection with a release deed. While a release deed releases the real estate to the grantee, a recipient of a release deed does not have any cause of action against the grantor in the event that someone else is considered the paramount titleholder. This means that, as a buyer, if you take property by a release deed and a few years later someone shows up claiming the property as part of his long-lost inheritance, you will not have recourse against the seller. 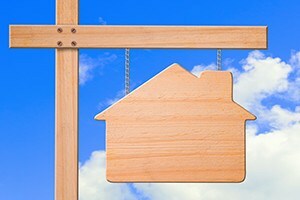 A seller may choose to convey title by a release deed when the extent of his or her interest in the property is not clear, the title is clouded, or the seller’s interest is questionable. If you are buying a home using a release deed, you should be clear about the risks compared to warranty deeds or quitclaim deeds. The property transactions lawyers at Pulgini & Norton can help individuals in Boston and beyond evaluate these issues and assess their options. We represent clients across Massachusetts, including in Braintree, Andover, and Medford. Call us at 781-843-2200 or contact us via our online form for a consultation.